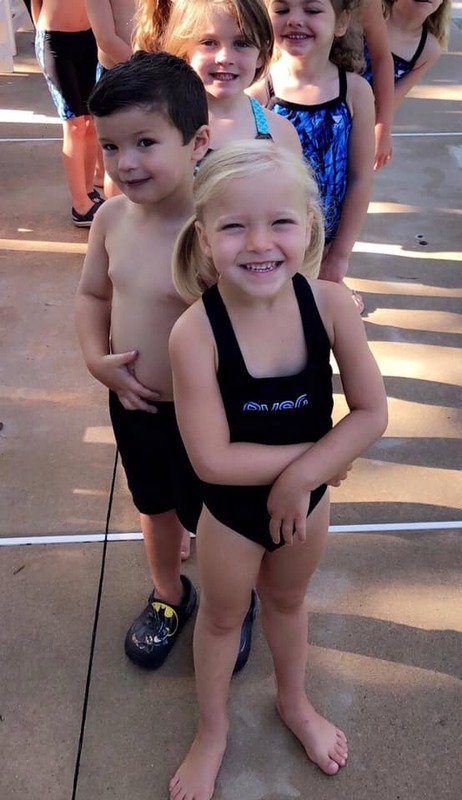 Raccoon Valley offers summer swim lessons for all ages and swimming abilities, from beginners making their first trip into the water through experienced swimmers looking to improve their stroke mechanics. The program is open to members and non-members alike - you don't have to be an RVSC member to sign up! Group swim lessons at Raccoon Valley are a great way for children 3 and over to learn the basics of water safety in a peer setting. Students progress through the various stages of swimming mechanics and proficiency. Daily reinforcement of learned skills helps promote rapid skill development. Weekly group swim lessons consist of four 25-minute sessions from Monday through Thursday, with Friday set aside as a rain date. For morning sessions, please choose either the 10:30am class or the 11:00am class from the weeks below. Evening group lessons will be offered again this year the weeks of July 7th and 15th at 6:30PM or 7:00PM. Space is very limited. **Week of July 1, Lessons run Monday, Tuesday, Wednesday, Friday; no rain date this week due to the holiday. For group lessons, you can register online here. Please submit a separate online registration form for each child. If you prefer to register by mail, please print and mail our registration form with your check payable to Raccoon Valley Swim Club. Please note that all swim lesson fees, group or private, are due by the Friday prior to the following week's lesson.